After repeated denials by the SA Communist Party (SACP) that it received R3 million from the defunct VBS Mutual Bank to fund its national congress, held at the Birchwood Hotel & OR Tambo Conference Centre in Boksburg, Ekurhuleni, last year – here’s the proof. 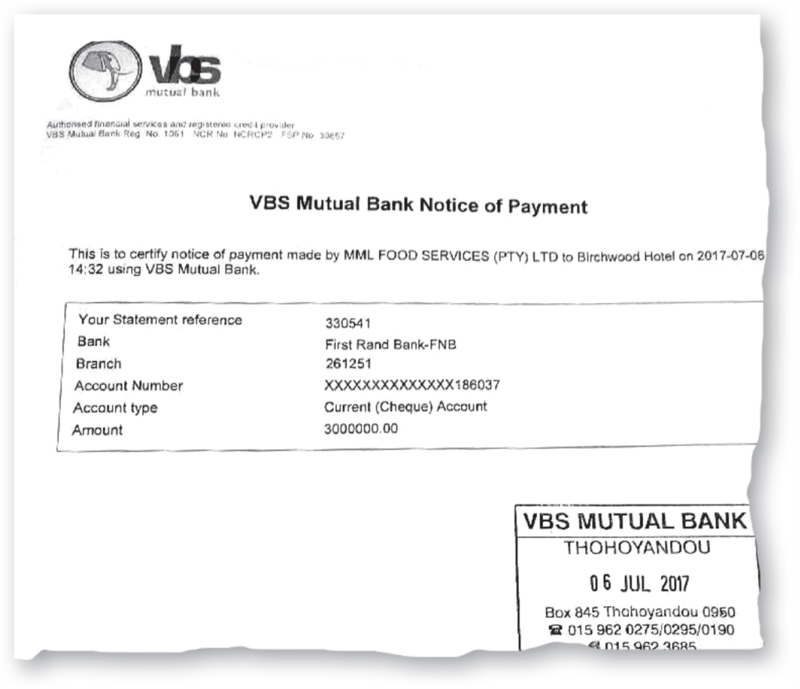 A proof of payment, seen by City Press, shows that MML Food Services – a subsidiary of Vele Investments, which was a majority shareholder in VBS – paid R3 million into Birchwood Hotel’s bank account on July 6 last year to bankroll the SACP’s national congress. The payment was made a day before the start of the congress – at about 2.32pm – via VBS. This new information gives credence to claims that the SACP, which has fashioned itself as a corruption buster, benefited from VBS despite the party’s strong denials. SACP spokesperson Alex Mashilo said this week that the party’s national officials had given the directive that a final report into such allegations must continue and be completed for final decision making. “The SACP national officials met on Monday in their regular meeting. They received a legal report both on the story and the legal work that had already been started against the allegations made. “They directed that further work, leading to a final report for consideration regarding legal action and/or any further steps that the SACP should consider, must continue and be completed for final decision making. “This is the clarification I can give you from the party, pending the outcomes of the process,” said Mashilo, who vowed that the party would take decisive action against any member found to be complicit in corruption. He maintained that the SACP did not receive a cent from VBS and its parent company, Vele Investments, or any of its subsidiaries. 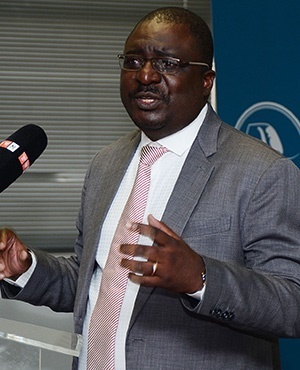 City Press reported last week that a former senior executive of VBS, who was at the centre of the bank’s activities and who spoke on condition of anonymity, revealed how Vele Investments had conspired to use a subsidiary company account to conceal the link to the SACP payment. The senior executive alleged a senior SACP official demanded a R3 million payment from former VBS chairperson Tshifhiwa Matodzi to stop making “noise” about VBS’s relationship with the Gupta family. The chief executive officer of MML Food Services, Ronald Letsoalo, said donations made to political parties were normally not disclosed to third parties. “We do not have an obligation to confirm or not to confirm whether our company has made donations, as donations made to political parties are normally not disclosed to third parties,” he said.